Paperbacks and hardbacks: this is an area, I confess, that I’ve been absolutely clueless about. The paperback edition of "The Lion's Gate"
You write a book. It gets published. 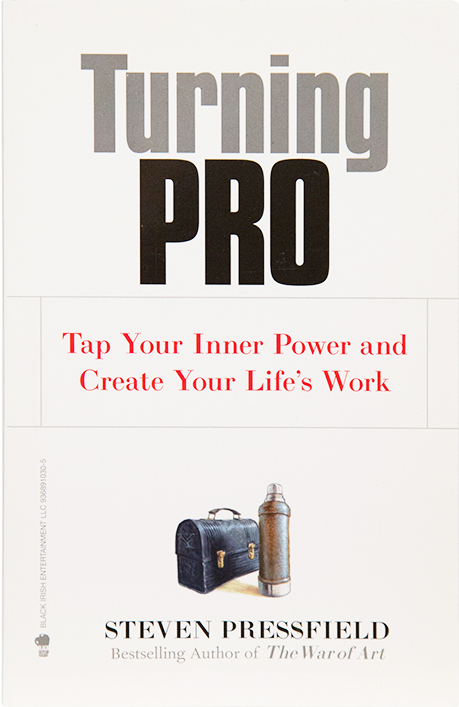 The hardcover comes out. Then a year later comes the paperback. The paperback always has a different cover. If the hardback had a classy cover, the paperback usually has a slightly-less-classy cover. But maybe (you hope) it’s a more commercial cover. Sometimes your book appears in its second life as a “trade paperback,” meaning a quality piece of workmanship, on good paper, weighty, only slightly smaller than the hardback. Other times it shows up as a “mass-market paperback,” which is small and cheap. Sometimes the paperback takes off like a rocket. Other times it fizzles on the launching pad. If you’re self-publishing or indie-publishing (or if you’re like me and Shawn at Black Irish Books), you can’t afford to bring out a hardcover. You go straight to paperback. That sounds as unsavory as “straight to video,” but actually it can be a real positive. These days, when so many people do their reading on Kindles and iPads, there’s virtually no stigma to a paperback. 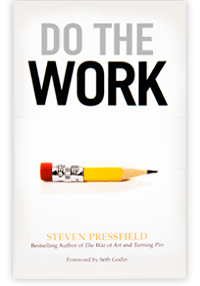 In fact the paperback may be a big plus in that its price is not as daunting as the $24.95 or $29.95 for most hardcovers. 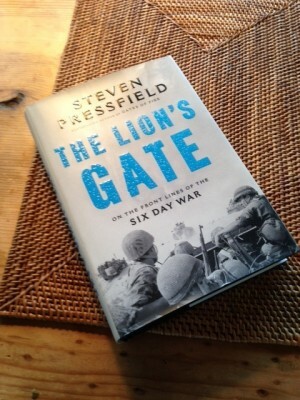 This week (yesterday actually), the paperback of my most recent book, The Lion’s Gate, came out. I LOVED the new cover. I loved the look of the whole book. I started getting excited. The hardback was definitely an under-achiever. Maybe, I thought, the paperback will break through. The Lion’s Gate has 234 customer reviews on Amazon, averaging five stars. But sales are barely moving the needle. I knew that my publisher, Sentinel/Penguin, had been doing some serious thinking about this “second bite of the apple.” I asked my editor, Niki Papadopoulos, if she wouldn’t mind sharing some of Penguin’s thoughts with our blog readers, for their (and my) edification. Here’s my mini-interview with Niki and Adrian Zackheim, who’s the publisher at Sentinel/Penguin. SP: Why publish a paperback? AZ: Every different format of a book offers an opportunity to reach a new audience. Ebook, audio, hardcover, trade paperback, mass market paperback, movie tie-in editions—all these formats are sold and marketed in different ways and places. Each new format allows us to reach different types of readers. NP: From a practical standpoint, publishing a paperback edition of a book gives us the opportunity to lower the price point and attract more price-sensitive readers. That’s a logical reason. Sometimes, we want to try a different package and see what happens. It’s really all just a mix of tradition, superstition, gut instinct, and publishing voodoo. But you probably guessed that by now, Steve. SP: What was Penguin’s thinking on having a new cover? And why this particular cover? 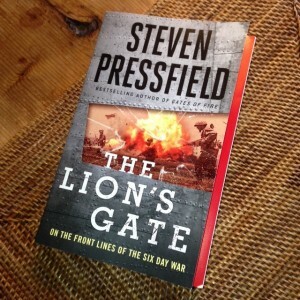 AZ: When we published the hardcover edition of The Lion’s Gate a year ago, we were really excited about the immediacy of the reading experience—the inside-the-cockpit, under-the-helmet stories of the actual soldiers who fought and won that war. We wanted to play that aspect up in the package. So we went with a cover that emphasized the level of immersion the reader has in the story. You’re right there in the jeep with the soldiers, heading into the unknown. 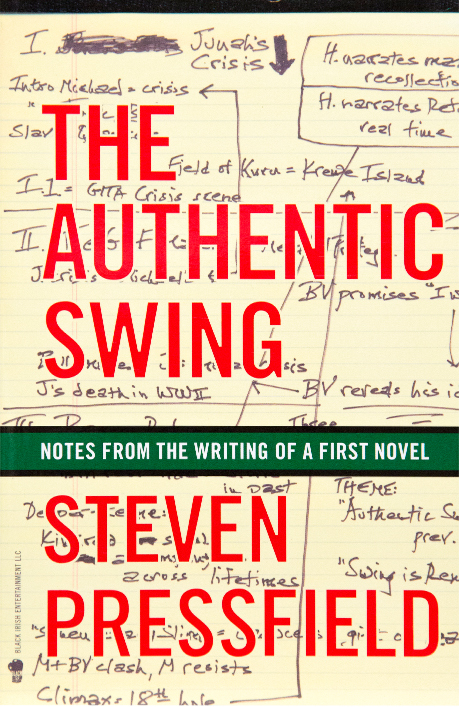 For the paperback, we made a conscious decision to package the book more like Steve’s other works. By going with bolder type and colors, along with a step-back page showcasing all the great reviews the book garnered in hardcover, we’re making the book look more like an action-packed military adventure story—which it most certainly is, too. SP: How do publishers think about marketing a paperback versus marketing a hardcover? NP: That’s a great question. A new work of serious nonfiction is almost always published in hardcover first, and this format will signal the newness of the book to the media. Traditional media outlets are more open to covering a book that’s new, because its publication is an event of sorts. Book review sections in newspapers, guests on The Daily Show, and so on—it’s all books in their first six to eight weeks of life. When it comes to the paperback, there are challenges but also new opportunities. Media outlets will rarely cover the publication of a paperback edition, especially if they’ve covered the hardcover. So we’re not making many pitch calls. On the positive side, with a paperback we already have an inkling of how the book will be received by readers. We will have review quotes from news outlets we can put on the book itself—these are third-party endorsements of the book’s quality. And we can start marketing to other markets, like college professors. Most college professors want to be assured that a book is of high quality and enduring value before they assign it as coursework, and it takes time for a book to make its way in the world before that happens. SP: How do publishers think about paperback editions from an editorial standpoint? NP: I think it depends on the book. For some books, a paperback edition offers an opportunity to add value in the form of additional content—like a reading group guide or an update, if it’s about a contemporary subject. For others, there’s a story to be told about the reception of the book—let’s say it was a runaway bestseller, or it invited a lot of controversy—and the author can add that context to a new preface. And for others still, you might correct a few typos but otherwise leave it alone. In the case of The Lion’s Gate, the book wasn’t calling out for more information or updates. The events haven’t changed. 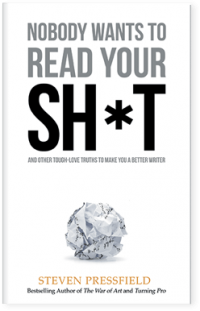 So editorially, there wasn’t much to do except make a few text corrections (even Penguin makes mistakes sometimes), add the great reviews from the hardcover to praise pages, and repaginate the whole thing. Besides the cover, the biggest change was probably moving around the maps. The hardcover edition of THE LION’S GATE had these beautiful maps printed on the endpapers. Paperbacks don’t have endpapers, so we ended up having to move these into the interior and shrink them down. Thanks for the peek under the publishing covers. I love hardbacks. For the various series I collect, I’ll take a paperback if it’s dirt cheap and handy, but I’m always on the lookout for a hard cover. I look forward to the time indie publishers will be able to provide a hard cover at a more reasonable cost — though maybe not everyone is as backward-thinking as I am. Thanks for the insight into this part of publishing. I like hardcovers too, but unless they come in a large print edition my eyesight forces me opt for the e-book version (and I do love my Kindle). Still, when a large print edition is available, I like the feel of a real book in my hands. BTW, the cover for the PB version of “The Lion’s Gate” is terrific! Great insights! Although I love the beauty and shelf worthiness of a hardback, I, for one, love paperbacks for their portability and price when traveling. Buy them cheap, read them, and then trade with other travelers or leave them behind as a wonderful gift for the next traveler coming by. Me too, David. I’m a paperback guy. I like to be able to beat up a book, carry it in a cargo pocket, spill coffee on it. But if I really LOVE it, then I have to buy the hardback for my bookshelf. I definitely do NOT like the look of a paperback on a bookshelf. How can a book as good and important as The Lion’s Gate underperform? We have to do something about that! The paperback at least should be a best-seller. An educational and informative post. Oh the marketing woes we all slog through. How exciting! I agree the cover looks great! Thanks for the insights. There’s so much too learn…. Comments: Interesting and useful. When I sit down on the patio with a beer to read a book that I expect to be exciting by an author I enjoy (guess who? ), the few extra bucks for the hardback is trivial for its addition to the overall reading experience. There’s just something about a hardback. Question: You neglected the impact of e-books. Cash flow is key to a professional author and his publisher and I suspect e-books are much more lucrative than the paper versions. It would be interesting to know the relative cash contributions a publisher might anticipate for each one over the first couple years of a new release. Interesting to see writing from the publishing end. I’m a university professor and I try hard to let the students use paperbacks. Not only is it cheaper for them, but as they mark-up the book and scribble notes, they seem to understand it better. Those were some powerful reviews…”there are few book these days that you put down breathless, with tears in your eyes…” Hopefully those sorts of reviews will move the needle! I love hardbacks, but I would never probably have discovered Steven if not for the paperback edition of The Gates of Fire’ which continues to simply blow me away. As a result of that I have bought a number of his other books which I am reading though as fast as I am able with all the rest of what I need and am required to do. Someday, I will find (I hope) a hardback copy of ‘The Gates of Fire’ but it will never be as precious to me as that paperback copy that seems to remain on the nightstand beside my bed. I took a break from reading blogs for a while, and in that interim, I completely missed the release of The Lion’s Gate! I remember you blogging about it during the writing and interviews, but I’m glad to be back reading your posts again… and now I’ve got a great new (to me) paperback to read! Thanks for the post, and the reminder!